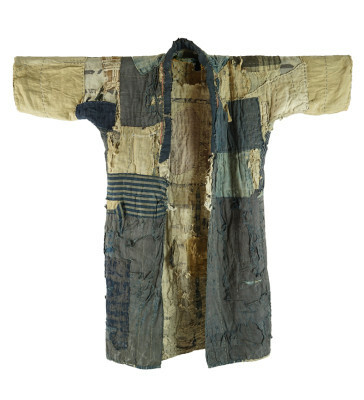 "Noragi" - a work jacket for farmers from about 100 years ago in Japan. 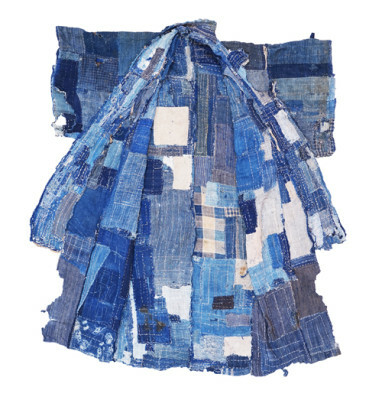 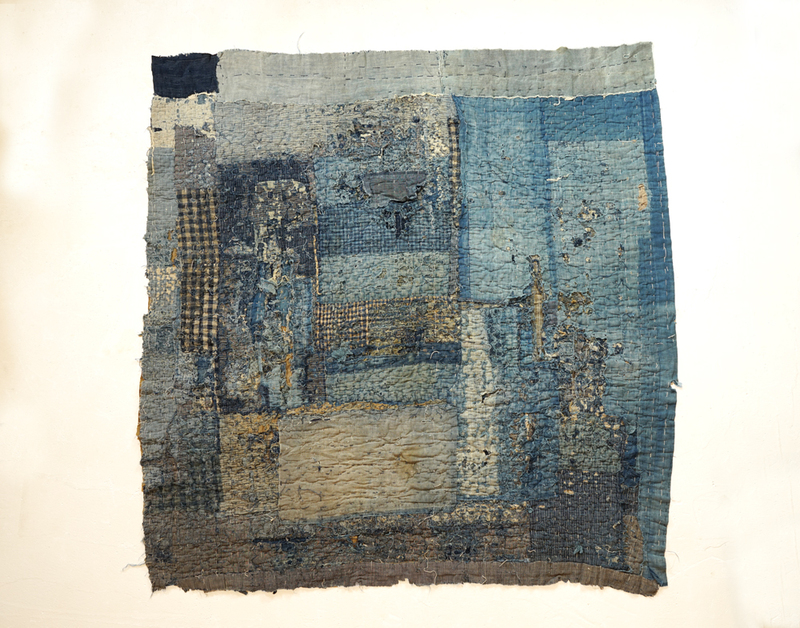 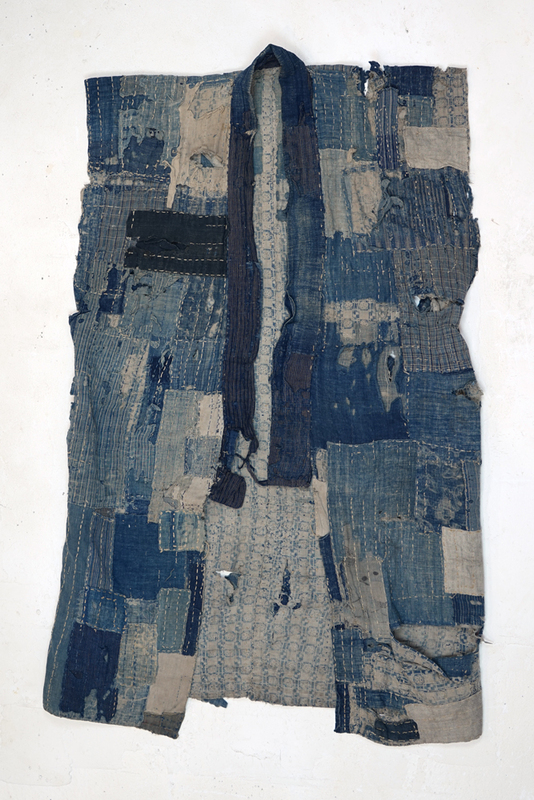 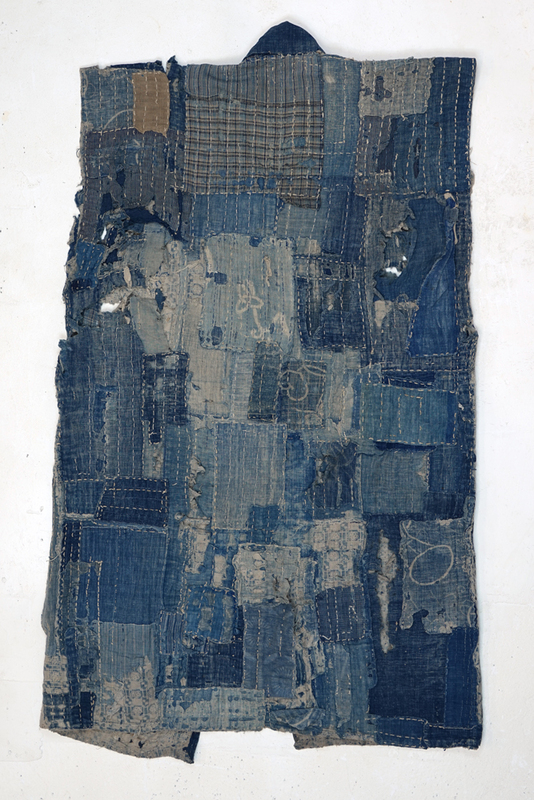 The jacket is a combination of different cloths patch worked (Tsugihagi boro) with various indigo dyed cloths. 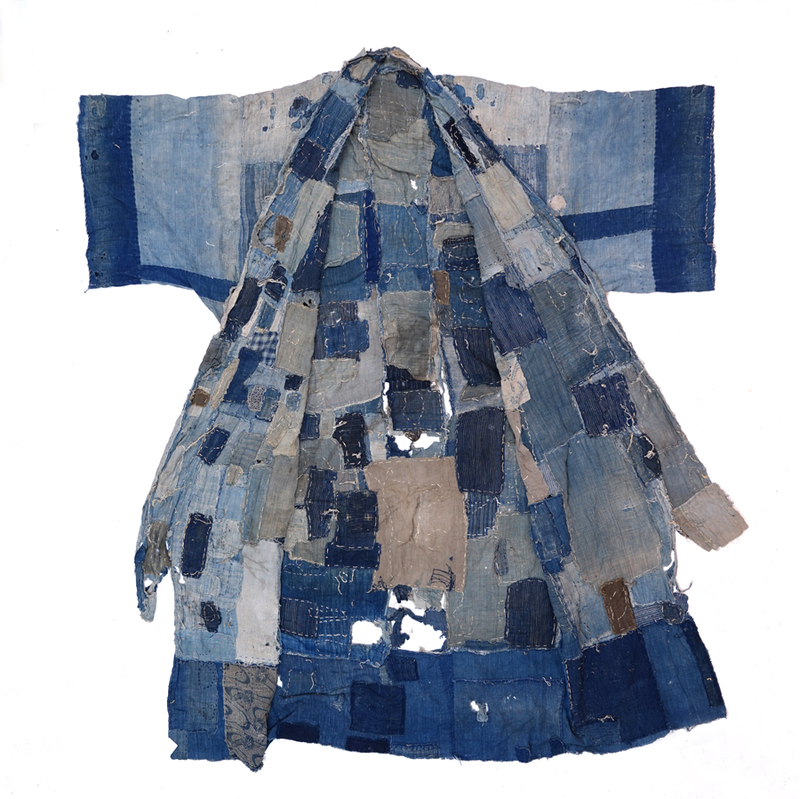 Some parts are dyed by traditional stencil dying and tie dying. 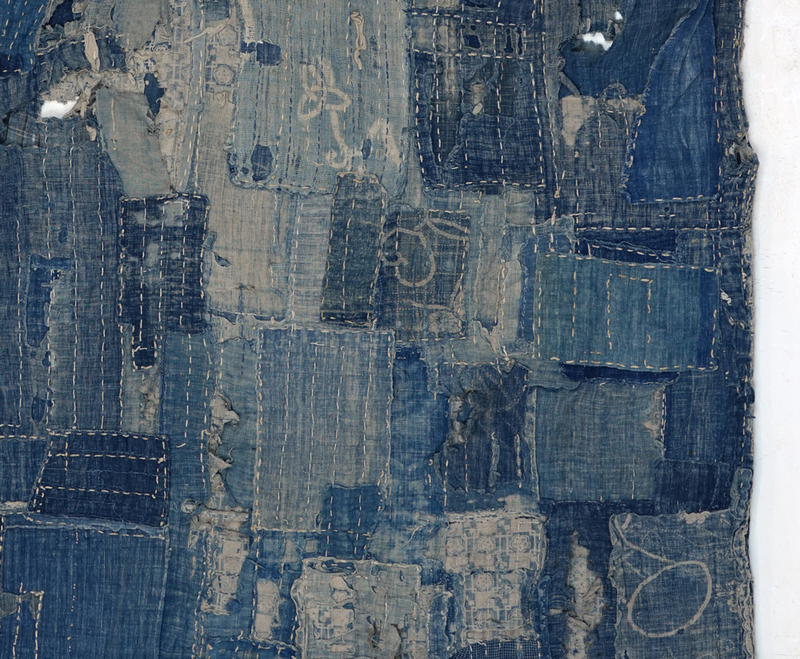 The surface is so ragged with age, which looks amazing.